Techno Mathematical has come up with a new H.264/MPEG4 IP core that could finally swing the HD camcorder format war against High Definition Video (HDV) and towards Advanced Video Codec High Definition (AVCHD). The IP core finally promises to address one of the chief limitations of AVCHD, which is its maximum image resolution of 1440 x 1080 pixels. HDV camcorders, by contrast, typically deliver 1920 x 1080 pixel resolutions. The difference is a function of the way the two codecs work - MPEG2 video encoding delivers bigger files, but needs less processing power; H.264 delivers the same or better quality video bit-rate for bit-rate, but requires that the encoding/decoding chip be up to ten times more powerful. 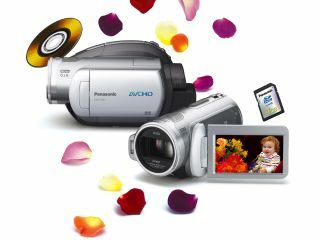 In practice this means that although many AVCHD camcorders could deliver full HD, they'd simply run too hot and have too short a battery life to make them very practical. Techno Mathematical claims to have solved that problem in two ways: firstly, it uses a clever algorithm to reduce the number of logic gates required by the video encoding/decoding process by one-third; and secondly its chip has a clock cycle of just 81MHz, compared to the 200MHz of many other H.264 chips. The result is that the new silicon is able to deliver many more types of HD resolution, finally putting the AVCHD format on an equal footing with its chief rival. The HD formats supported by the chip are: 1920 x 1080/60 frames interlaced, 1440 x 1080/60i frames interlaced, 1920 x 1080/30 frames progressive, 1280 x 720/60 frames progressive and 720 x 480/60 frames progressive.